Ribbon-cutting, groundbreaking and grand opening events are a great way to kick off the opening of a new business, a new addition, rebranding, a remodel or a new location. It offers the opportunity to spotlight your business and to invite your customers, partners, other area businesses, local government officials and other special guests to celebrate with you and learn more about your business. 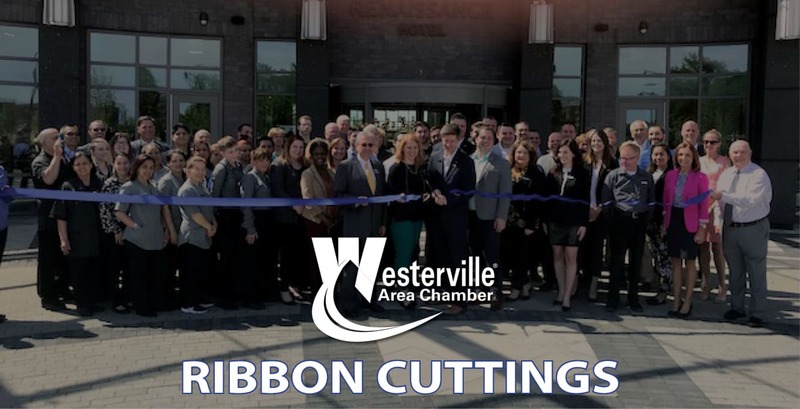 We at the Westerville Area Chamber are pleased to help our member businesses with these opening events. Extend an invitation to local government and state representatives. Invite Chamber Board Members, Ambassadors and staff to attend. Provide the “BIG” scissors and ribbon at the event and orchestrate the actual cutting of the ribbon. Post your event’s photos on our social media platforms and provide copies of the digital photos. Coordinate the date and time with the Chamber. Try to plan at least 4 weeks in advance to ensure your invitees can attend. Send invitations to your family, friends, business partners, neighboring businesses, past, current and potential customers. Consider providing light refreshments and door prizes. If you provide refreshments at your ceremony, we encourage you to use a Westerville Area Chamber Member Caterer. A list can be provided. Consider holding a raffle with door prizes or providing a take home gift to increase your brand recognition beyond the ribbon cutting. Think about where in your space you want to do the ribbon cutting. The best spot is in front of a sign, door or wall that has your company name of logo. This is a great photo opportunity! The ribbon cutting ceremony may only last 15 – 20 minutes, consider providing a tour of your new space following the ceremony to continue to engage your guests and promote your business. Contact the Chamber via email or (614) 882-8917 to schedule your opening celebration!